In April, a young woman managed to escape an exploitative labor trafficking situation in Malaysia and was repatriated to Cambodia. The Siem Reap Anti-Human Trafficking and Juvenile Protection Police (AHTJPP) and AIM SWAT Officers have been investigating the case since that time. During the afternoon of Tuesday, June 19th officers from both organizations arrested a female suspected of having trafficked that woman to Malaysia last year. The suspect has been charged with human trafficking offenses and remanded to prison to await trial. 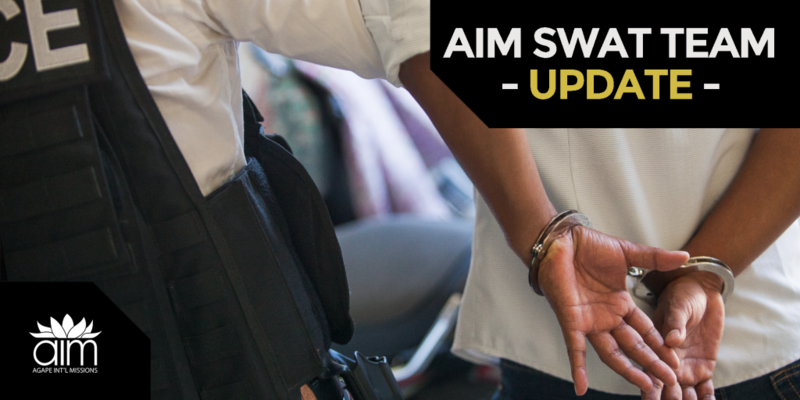 AIM SWAT lawyers will represent the victim throughout the upcoming court process.